There was a time when social media was looked at as a fad. It was something teenagers were supposed to get into and then get out of as they got older and more engulfed in the real world — similar to toys, video games, or certain television shows. However, social media is here to stay, and that means that it will affect all parts of our lives. This, for better or worse, includes the job sector. There are a number of reasons that social media is good for hopping on the radar of potential employees and customers, and Social Media Impact has covered them before. But that’s a bit different from using social media in the actual recruitment process. 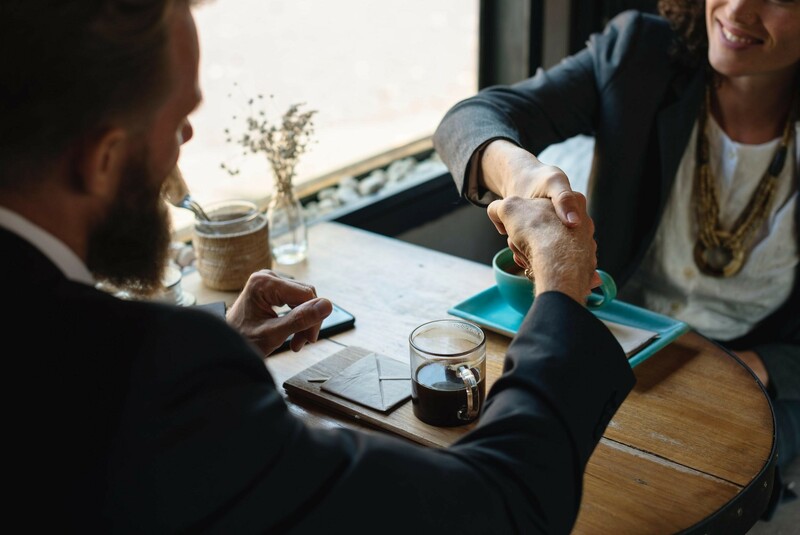 Recruitment not only involves being on a potential employee’s radar but connecting with them, encouraging them to join you, and offering your best job options to them. Optimizing your social media as a business is important for a number of reasons, including to expand your audience, to connect with them, for advertisement, and making sure your brand is associated with the keywords you need it to be. However, did you realize that social media is a hotbed for new applicants as well? LinkedIn is the most obvious among the social media channels for finding your employee match made in heaven, but did you know that other social media channels have unique ways of being effective? People don’t check LinkedIn as much when they’re not actively looking for jobs, and the competition is much more fierce there. So turning to other channels becomes necessary. The problem, however, with using other social media platforms to recruit employees is that they’re not specifically designed for the practice like LinkedIn is. So you need to know a thing or two about how to use them. For instance, to use Facebook to find recruits, there must be an understanding of their algorithm and how to use it in order to serve you rather than squander your posts in a news feed. The same will go for Twitter and Instagram, though you’ll likely have to use paid promotions unless you have strong word-of-mouth promotion on those platforms. Social media connects people to brands and entertainers they follow, yes? So use that to your advantage. Use the images and content you post to draw people in, and when they respond or comment, interact with them. These people will oftentimes have something in common with what you do, even if they’re just customers. Those people — those customers who respect your brand enough to give you that “like” or follow — could be your next employees. There’s a trend where businesses like to go onto their social media accounts and scour hashtags for ways to interact with people, but this often comes off as creepy and salesman-like. For one, template responses are often used. “Nice picture! Check out ours ;)” is a common one, believe it or not (because how obvious is that?). Due to this it becomes important to talk naturally, like you would in person. Avoid sounding like a creepy salesman. It’s not doing you any favors. Regardless, if you see someone is looking for a job and you have a sincere offer for them, go ahead and “slide into their DMs” or leave a comment. Social media is also full of independent contractors as . may be something you have to get used to anyway in this digital age and economy, and they’ll announce they need a job if they really do. You could be the glass slipper to their Cinderella! Regardless, if you see someone is looking for a job and you have a sincere offer for them, go ahead and “slide into their DMs” or leave a comment. Social media has a lot of independent contractors that these sites are good for finding as well. Since the business world is already trying to catch up with the influx of independent contractors and businesses have to adapt to that model, you may be able to get ahead of the curve by using social media to meet those contractors. Effective recruitment leads to employees, and the goal with employees is often to retain them. How does social media play into this, you might ask? You typically don’t want your employees spending their days on social media while they’re supposed to be working, you may be thinking. Well, yes, that’s absolutely true. However, it’s important to recognize that employees should feel good enough about their work that they want to talk about it in their personal lives. And people’s personal lives are completely broadcast over social media nowadays. Psychologists say that an important part of making your place of work worth going to is building a positive work culture. This can be built partially through engaging your employees on social media — tagging them in pictures from company events should they allow, inviting them to offer critiques on your social media presence, and letting them create shareable content for you. If you get their help, they can feel like they’re a part of a company that values them off hours — not just on hours. It can be a hard line to draw between being nosey and being involved, so leave most of the engagement for the employees to take the first steps toward. In doing so, you keep a respectful distance for their personal lives but also allow them to interact with a company they hopefully respect. If all goes well, you will have better chances of retaining them as employees. How do you use social media in your recruiting process? How do you retain recruits? Tell us in the comments below!